Calliope’s Call is a new, professional, and innovative art song performance group based in New England. Our artists are professional emerging and established singers and instrumentalists from around the country performing in New England and surrounding areas. Calliope’s Call creates unique and dynamic programs of art song by contemporary and new composers as well as by traditional composers to share with our audiences. 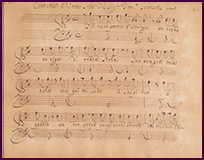 Art song is a music composition for voice and instrumental accompaniment on poetic texts. Generally art songs are written for voice and piano, but can also include other instruments. A group of songs with a story line or common theme to be performed together is called a song cycle. The concert format is that of a recital, typically in a smaller concert space as the genre is very intimate. Whereas the texts and stories in opera are conveyed through multiple elements: the staging, sets, and costumes, the poetic texts of art song are conveyed solely by the communication between singer and pianist and the audience. Calliope was one of the nine Greek muses of music, song, and dance. 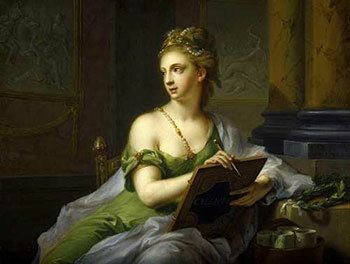 Each muse was given a specific artistic realm, and Calliope was the goddess of epic poetry and eloquence. Her name means "beautiful-voiced." 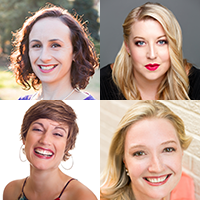 Since art song is a music composition for voice and instrumental accompaniment on poetic texts, Calliope’s Call signifies our intent to gather fine performers in this genre as well as call together audiences who share our appreciation for the art song recital.